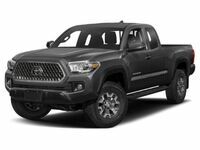 There are six trim levels to pick between for the 2019 Toyota Tacoma and they are the SR, SR5, TRD Sport, TRD Off-Road, Limited, and TRD Pro. The two available engine options of the 2019 Tacoma make it easy for truck shoppers to find the performance and efficiency specs that they need to help them through the workweek as well as with their weekend adventures. 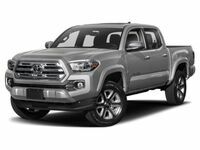 Keep reading so you can see all of the standard and available engine specs and interior features for the 2019 Toyota Tacoma and the 2019 Tacoma is waiting for you at Toyota of Hattiesburg right now today. What are the Standard & Available Features for the 2019 Toyota Tacoma? 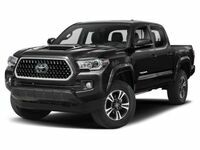 The standard engine of the 2019 Toyota Tacoma is a 3.5L 24-Valve V6 that supplies it with 278 horsepower, 265 lb-ft of torque, and a 6,800-pound maximum tow rating. A 2.7L 16-Valve 4-Cylinder is an available option and it delivers 159 horsepower, 180 lb-ft of torque, and a 3,500-pound towing capacity. There is also the option of pairing each engine option with either a 6-Speed Manual or 6-Speed Automatic Transmission as well as your choice of Two-Wheel Drive or Four-Wheel Drive. 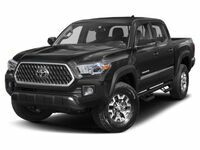 There are also two cabin size options and two cargo bed lengths available for the 2019 Toyota Tacoma so you can find the cargo and passenger space that you need. You can choose from an Access Cab with space for four people or a Double Cab with seating for five and either a short bed or a long cargo bed. Standard interior amenities of the 2019 Toyota Tacoma include a 6.1” touchscreen display with Bluetooth® connectivity and a 6-speaker stereo. The upper four trim levels get equipped with a 7” touchscreen display and also add a 3-month trial of SiriusXM® radio. There is also standard QI-compatible wireless charging in the top four trims of the 2019 Toyota Tacoma. The Limited and TRD Pro trim levels get loaded with leather-trimmed seats and the TRD Pro adds heated front seats as well. 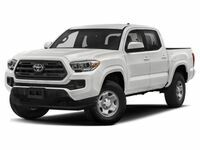 Come to Toyota of Hattiesburg today to take the 2019 Tacoma for a test drive to figure out which one of its six trim levels meets your need, wants, and budget. 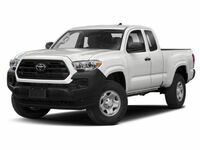 We can also help to streamline the 2019 Toyota Tacoma buying experience thanks to our online finance tools that can get you an estimate of your vehicle’s trade-in value and even let you apply for credit approval from your smartphone, tablet, or home computer.